“We can’t buy first-class printing presses and then leave print finishing to old systems,” says General Director François Morault. The progress in terms of productivity as a result of the Primera MC has specific technical reasons. Motion Control Technology enables fine-tuning on the fly. Synchronization is performed automatically and changeovers are quick. In addition, there is almost no production waste with the new saddle stitcher. 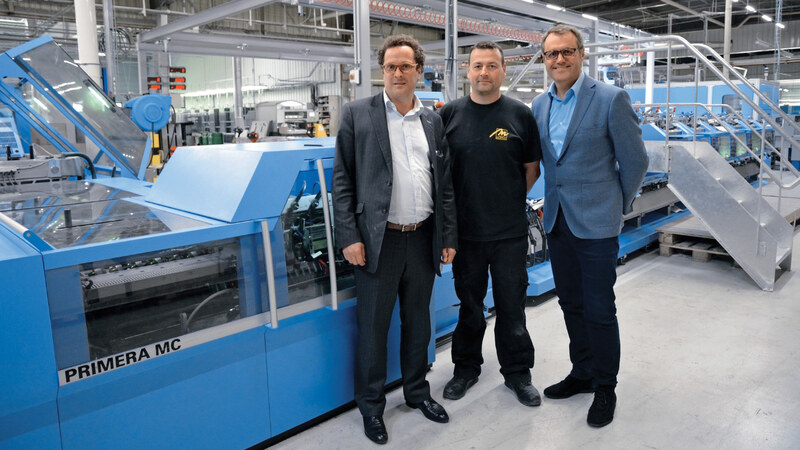 “We can operate at full speed with the Primera MC,” says François Morault. The 14,000 cycles per hour are not an ideal scenario, but rather a reality, which is important to the printing company in Compiègne, with its 100 employees. This is because at Groupe Morault, they produce the highest-volume runs. This mainly involves jobs in A4 size – often for publishers of special-interest magazines and customers in the public sector. With its pre-press, printing, print finishing, distribution and delivery services, Groupe Morault acts as a one-stop shop for its customers, which are mainly based in the greater Paris area.